Kelaniya Raja Maha Vihara which is located at a distance of nearly 10 kilometres northeast to Colombo is one of the most revered and Buddhist temples of Sri Lanka because it bears the history of nearly 2500 years and of Lord Buddha. The river Kelani that flows near this temple enriches the beauty, serenity and holiness of this place. 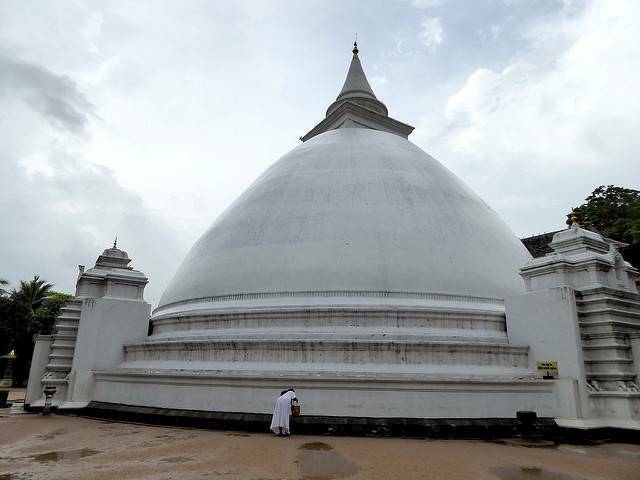 The Chronicle of Sri Lanka ‘Mahawansa’ states that this was the last place that Buddha visited in Sri Lanka. After 8 years of Enlightenment, Buddha arrived here on the invitation of king Maniakkhikha along with other 500 monks to preach. Today, a hemispherical stupa stands at the place where Buddha is believed to have preached and hence it becomes a must visit place for travellers. The original temple and the stupa, that housed the gem studded throne and utensils used by Buddha, were built in 5th century BC since when many additions and renovations have taken place and the last contribution was of Helena Wijewardana in 20th century. The temple is also famous for its paintings of Buddha and his life. An 18 foot stone statue of Avalokiteshwara is installed here. This temple hosts the event Duruthu Maha Perehera procession. With all these to offer the travellers, this place commands an entry.